Kaytranada is a large part of the reason why the driving sound in Hip Hop these days is shifting increasingly toward Euro-inspired dance music. It appears that everywhere you turn, even the toughest talkers are leaning towards faster tempos and colorful sonics. 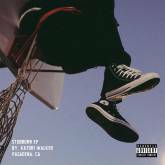 For many, this style is new, experimental and a seemingly young artist’s game but for Compton’s own Buddy, making rap music that people can groove to is nothing new. As one of Pharrell’s first official co-signs, Buddy spent a good three years sitting on the proverbial shelf until his fifth (and only real substantial) mixtape dropped in 2014. Appropriately titled Idle Time, the mixtape showcased just how upbeat and progressive Buddy’s sound was – that’s why a joint project between Hip Hop’s grooviest producer and arguably his exact rhyming counterpart makes total sense. 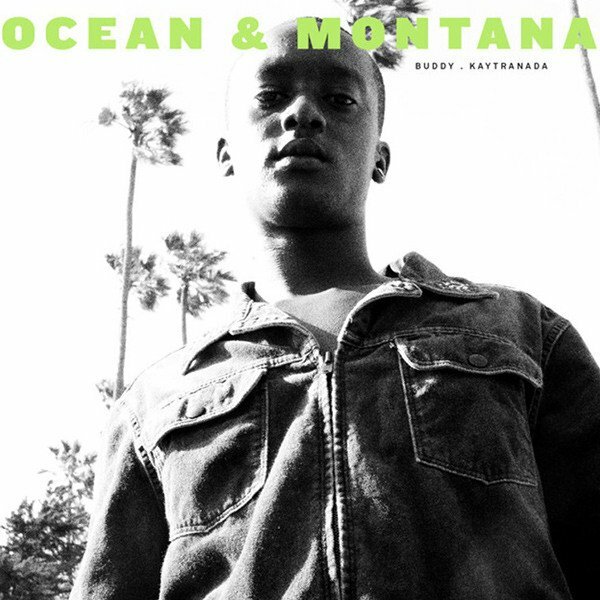 Ocean & Montana is a short creative crash course that runs five tracks long and contains all Kaytranada production and all Buddy vocals. 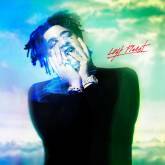 Naturally Kay’s beats are the MVP of this project but Buddy’s songwriting takes them to new heights. In fact, it’s surprising that it’s taken this long for these two to collaborate seeing as their sounds match up seamlessly. “Find Me” is a hoppy opener with lots of intricate sounds from Kay and a wide range of vocal tones from Buddy. The track basically serves as a start-of-summer declaration as Buddy simply states “Lost and alone/ Come find me/ I just wanna feel loved” – a sentiment likely shared by many coming out of the winter blues and sliding into the summer heat. “Guillotine” follows a similar trajectory but with a little more self-confidence. 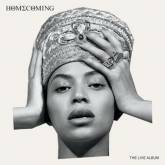 Buddy channels his inner swag rapper with the proud “Pull up in a limousine/ Lookin’ like a guillotine/ Sippin’ on that Hennessy/ What you know about me” chorus and by far the best technical rapping on the album. “World Of Wonders” reaches a little too hard for the “summer love” trope but luckily its corniness is made up for by “A Lite” — a song literally about finding someone who has a lighter. It’s a song that doesn’t take itself too seriously, has an infectious bounce and is undeniably relatable. “Huh, now who got a light?/ Aye, do you got a light?/ Yo, who got a light?/ Man, I’m tryna light this blunt” are all questions that will undoubtedly be asked this summer at some point. The project comes to a close with the two-step enabler “Love or Something.” Buddy ponders whether he’s falling in love for real or just enjoying the way his female counterpart dances. That contemplation will probably flow through the minds of many young lovers this summer as the promiscuity-inducing heat comes to an end and cuffing season picks up where it left off. In a perfect world, Ocean & Montana will survive past the summer months because it is such a solid project, but when the entire 17 minutes are practically a soundtrack to the summer it might be hard to revisit past August.